Check out all the free checking accounts you can open now without a minimum deposit amount. Most people need a checking account, and nobody likes fees or minimum deposits. GOBankingRates identified banks with free checking and no minimum deposit requirements so you can find the best checking account for your needs. What’s more, all these accounts have no minimum balance requirement. As you might guess, many of the banks with free checking are online banks, which have lower costs than traditional brick-and-mortar banks. Totally free checking accounts are fairly standard in terms of the amenities offered, but a few offer some surprising features. The Capital One 360 Checking account charges no fees, has no minimum balance requirement and pays interest — the trifecta of bargain checking accounts. 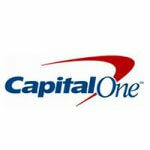 It also offers a free debit card, and you can avoid ATM fees by using one of over 39,000 Capital One ATMs. This account also offers online and mobile banking, including mobile check deposit. Granted, the APY for account balances under $50,000 is just 0.20 percent, but it’s better than nothing. Ally Bank’s Interest Checking account also pays interest, but only has 0.10% APY. If you keep $15,000 in your account, it jumps to 0.60% APY. The account includes standard checks at no charge, in addition to a debit MasterCard and online bill pay. A couple accounts offer unique features the other banks don’t offer. If you’re looking for cash back on purchases, rewards for using your account, or a linked investment account, check out these options. Discover Cashback Checking has an interesting twist: It pays you up to $10 a month to do the things you do with your checking account, anyway. You get 10 cents for each purchase you make with your debit card, for each bill you pay online and for each check you write, up to 100 transactions per month. 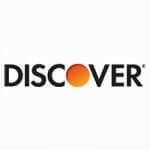 You also get a free debit card, free use of over 60,000 ATMs and free checks. 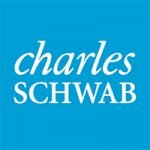 The High Yield Investor Checking account from Charles Schwab comes with something that none of the others offer: a brokerage investment account. You won’t pay a fee or need to deposit a minimum amount to open the accounts. You also get 0.15% APY on your balance as of July 21, 2017, and you can transfer money from your checking account to your brokerage account and vice versa. You also get a free debit card, online and mobile banking and bill pay. 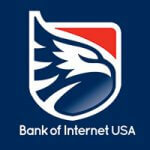 Bank of Internet USA’s Essential Checking account offers a rewards program, which is very unusual for a no-fee, no-minimum checking account. You can get cash back — deposited directly into your checking account — from merchants you have shopped at previously. This account also comes with a suite of personal finance tools that will help you manage all your accounts. 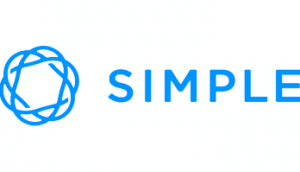 The Simple Checking account from Simple Bank is just that — simple. No monthly fees, no minimum balance and over 40,000 fee-free ATMs. The account however, is non-interest bearing. But the bank does offer useful budgeting tools such as Safe-to-Spend, which factors in your upcoming scheduled transactions such as automatic payments and direct deposits, and then tells you how much you have left that you can actually spend. 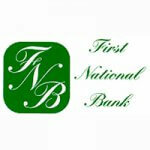 First National Checking from First National Bank has no minimum deposit and no fees, and it also charges no ATM fees, although other banks’ fees might apply. First National will forgive one overdraft or returned item per year, and you don’t have to pay for checks. It also doesn’t charge for paper statements or for cashier’s checks, both of which could cost you at other banks. First National offers its checking account customers preferred rates on auto loans, personal loans, CD accounts and IRA accounts. Customers can also get savings on mortgage closing costs and a discount on safety deposit boxes. 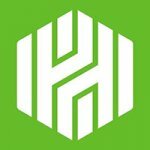 Asterisk-Free Checking from the Huntington National Bank is free of maintenance fees, has no minimum balance requirement, and does not charge fees at its own ATMs. It will charge you $3 every time you use another bank’s ATM, however, and that’s in addition to the fee that bank might charge. The Huntington National Bank has only 1,800 ATMs, so be sure there’s one near you before you sign up. If you have a credit card, savings or money market account, or credit line with Huntington National Bank, it will transfer money from any of those accounts into your checking account to cover any overdrafts. And there’s no charge for this service. You can get a free checking account at many larger banks, but they often have a minimum deposit or average minimum balance requirement in order to avoid a monthly service fee. Wells Fargo free checking, for example, requires a balance of $1,500 or other requirements to avoid a monthly $10 fee. Chase free checking has a $1,500 minimum or other requirements to waive the $12 monthly fee. With Bank of America free checking, you can waive the $12 monthly fee if you have a qualifying direct deposit of $250 or more, or a minimum daily balance of $1,500. By choosing the right free checking account for your needs, you could save over $100 a year, and even receive some extra perks. Methodology: GOBankingRates surveyed financial institutions to find the best banks for free checking accounts with no minimum deposit requirement and considered the following factors: banks that consistently do not require a minimum deposit and do not require a minimum balance. 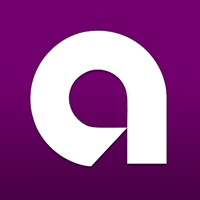 Ally Bank rates are up-to-date. Information for all other banks is accurate as of July 21, 2017. Disclaimer: GOBankingRates is a personal finance and consumer interest rate website owned by ConsumerTrack, Inc., an online marketing company serving top-tier banks, credit unions, and other financial services organizations. Some companies mentioned in this article might be clients of ConsumerTrack, Inc., which serves more than 100 national, local and online financial institutions. Rankings and roundups are completely objective, and no institution, client or otherwise, paid for inclusion or specific placement. Any opinions, analyses, reviews or recommendations expressed in this article are those of the author’s alone and have not been reviewed, approved, or otherwise endorsed by the companies included in the article. Learn the rules of having multiple bank accounts and how having several might benefit you. Rebuild your banking history with one of these second-chance checking products. CD vs. Savings Account: Which Is Better?